Well, rainy day… nothing much to do, so my friend Sam (yes, the one who got thrashed in badminton in my previous post) jio me play bowling with him. He usually scores around 130-150. But not today, Cause he is facing a stronger-than-him opponent, me!.. Let him win 2 points ( since he makes an effort to change his name to bring him luck ), if not his rest of the day will be gloomy… ha! 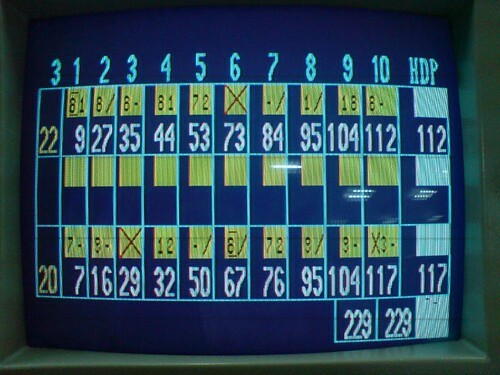 cool.. i always want to play bowling but i dont know how.. haha..
i watched the hey gorgeous today. aiyee. 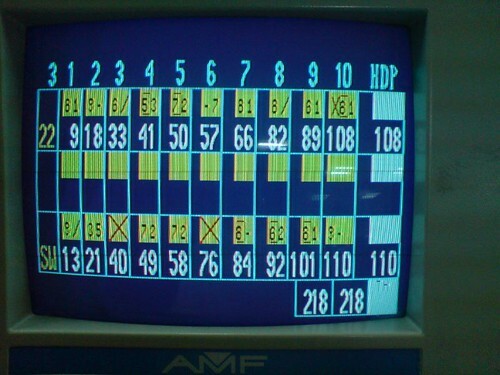 forgot to watch hey gorgeous ytd..
Wah… first badminton, then bowling… so what’s next? Pool…? 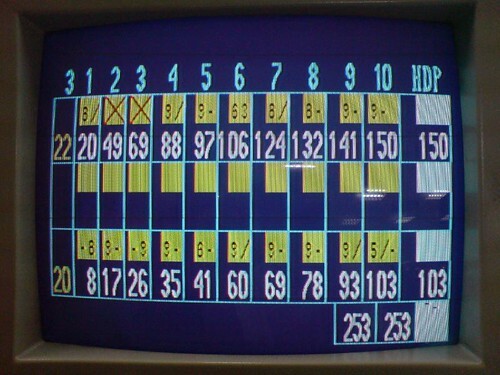 Wah…i really take my hat off you.Your score for bowling is really good. Hehehe….saw ‘Hey Gorgeous’ on Channel U last night,hey,go to my alma mater loh….hehehe….how come didn’t go to the health science side? Got a lot of pretty future angels in white over there leh. Never mind, the business side also got lots of pretty girls and guys too. 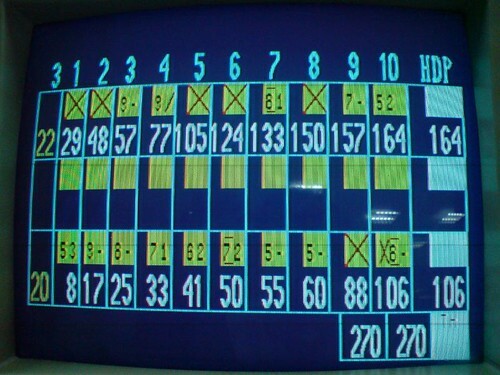 oic.. i always bowl at Kim Seng. why i nv saw you? haix.. 🙁 but Kim Seng is closing down soon le.. dunno where i am going to bowl le.. East Coast too far for me.. haha.. alot of bowling alleys are closing down.. not really good for we bowlers.. sadded..